–The 2016 Harvest Wine Weekend brought something vintners In Paso Robles haven’t seen in quite a while — rain. 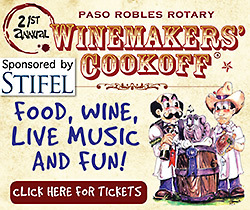 Along with the rain there was another thing to celebrate over the weekend hosted by Paso Robles wineries from Oct. 14-16. Nearly every winemaker says 2016 will be a memorable vintage. After the disappointing 2015 vintage, Eberle added, this should be a fine year for both reds and whites. From Cayucos and Santa Margarita to Creston and San Miguel, Paso Robles vintners hosted some 140 weekend activities that ranged from winemaker dinners, vineyard tours, barrel samples, limited release wines to the popular ceremonial grape stomping. 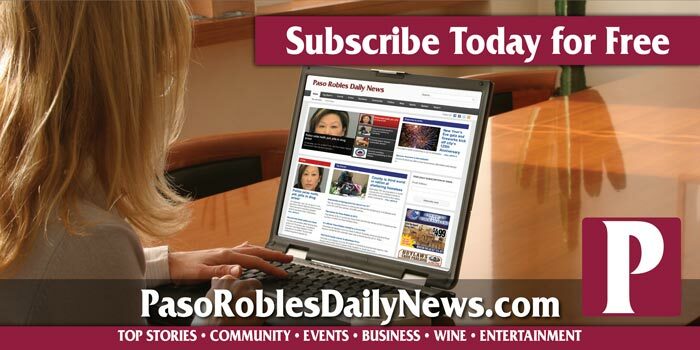 Unlike many other wine events in the Paso Robles region, Harvest Wine Weekend lacks an anchor event or grand tasting instead to focus on the business of selling wine. 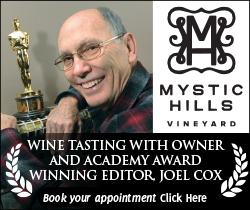 Thus many wineries bundled the harvest celebration with wine pick-up parties for their wine club members. The multiple celebrations kicked off Friday night with winemaker dinners at various wineries. Among them J. Lohr’s Lobster Feed prepared by Cahoots Catering and Eberle Winery’s dinner in the caves prepared by chef Lou Rook of Annie Gunn’s Restaurant in the St. Louis suburb of Chesterfield. The Niner Estate partnered with Caliza, where a soirée began with an array of tapas, then continued on to Niner’s tasting room for shellfish and game Paella. The weekend’s downpour got the party stagers scrambling and some activities moved in doors but no locals complained. After five years of drought, two days of mist and rain were as welcome as the wine-country tourists crowded the tasting rooms with holiday wine-buying on their minds. Saturday activities offered a range of barbeque options from Croad Vineyards’ kiwi style tri-tip sandwich to Oso Libre’s estate Angus beef burgers and Pear Valley’s grilled bratwurst sandwiches. At Paso Port/Per Cazo Cellars smoked and grilled meats were offered with “Noel”, a Christmas blend, and fruit liqueurs from the Pendray’s Distillery. On the terrace of Hunt Cellars’ intimate tasting room, bite-size sausages came off the grill and were paired with library and limited release bottles of Cabernet Sauvignon, Syrah and Super Tuscan blend. 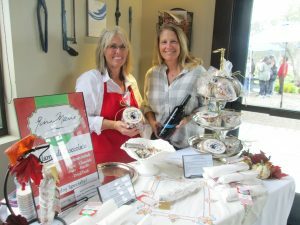 J. Dusi Vineyards’ tasting room sported a marketplace ambiance with local culinary artisans. 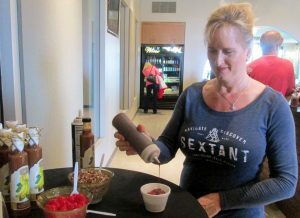 Gina Marie offered samples of handcrafted chocolate salami that paired well with Dusi’s famed Zinfandels; there were also tastes of pistachio butter from the Pistachio Factory and sweet treats from Clementine’s mobile cookie cafe. At Bianchi, visitors tried their artistry at painting on Saturday and learnt how to cook Paella like a pro on Sunday. 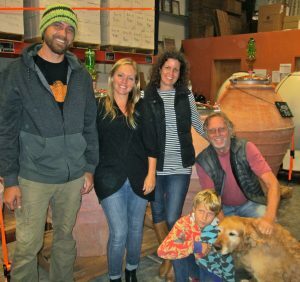 There was an afternoon of bacon and wine at Treana; folk dancing with offerings of whole roasted lamb at Opolo; hands on blending seminar with Bob Tillman at Alta Colina; and Summerwood’s pet costume contest. 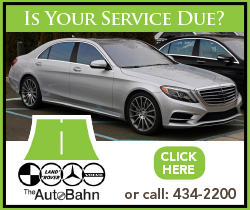 Hosting a Swiss-style celebration under a makeshift tent at Swiss-owned Vina Robles, managing partner Hans Michel and his daughter Simone served Raclette, the traditional melted cheese dish, while guests enjoyed the ceremonial grape crushing in an oak barrel. In spite of an intermittent downpour, Saturday evening winemaker dinners carried on at Justin, Calcareous, Brecon, Adelaida Cellars, Le Vigne, Robert Hall and Lone Madrone. 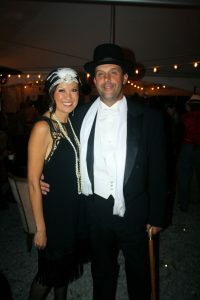 Grey Wolf saw owner Joe Barton and family members in full swing celebrating the winery’s 20th anniversary with a Roaring 20’s Speakeasy themed party. Women arrived in flapper dresses and jeweled headbands and men looked dapper sporting pin-stripe suits, top hats and spats. Under the damp tents guests danced to a live band performing nostalgic music and savored chili and meatballs by Chef Jeff with Grey Wolf wines and craft spirits by Krobar Distillery. At Ambyth’s hillside biodynamic estate, the Saturday and Sunday afternoon repast of grilled pork and beef kababs and Sicilian-style couscous was prepared by the Hart family and served with a range of Rhone style wines and an aromatic orange sauvignon blanc. There was wine education too. Wineries offered tours of the vineyards (although Sunday’s downpour curtailed some of them). Tablas Creek Vineyards’ interactive harvest cellar tour was led by winemaker Neil Collins and Turley Wine Cellars, known for its zinfandel, offered a seminar each morning on petite sirah, a wine the family has been crafting since 1993. Malani Anderson, Turley’s tasting room manager, was relieved they chose not to do any outdoor activities. Instead, “we were packed like sardines in the tasting room,” she laughed. While most wineries featured their finest Rhone and Bordeaux style wines, wineries such as Fratelli Perata, August Ridge and Aaron Hill showcased their Italian varietals, Bodegas Paso Robles offered new releases of Spanish and Portuguese varietals and with a twist on tasting Mitchella offered a range of bubbly from cava and Prosecco to moscato and California sparkling wine. On Sunday, most of the wineries continued hosting the music and food events inside the tasting rooms or under tents. At lunchtime Sunday, the rain did let up long enough for Cass Winery fans to dig into the taco buffet laid outdoors while the raucous crowd got enthusiastic with stomping in large grape-filled bins, happy to leave their mark on the 2016 vintage. No doubt some will return next Harvest Weekend to purchase some of their handiwork. Make that footwork.